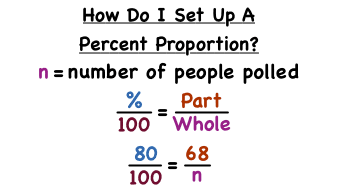 How Do You Set Up a Percent Proportion from a Word Problem? Sometimes the hardest part of a word problem is figuring out how to turn the words into an equation you can solve. This tutorial let's you see the steps to take in order to do just that! Take a look! You'll be glad you did!